Thank goodness it's Friday. I'm exhausted. The past few weeks have been so incredibly busy. I have barely had time to catch my breath, let alone do anything crafty!! From packing tons of fun into our last week of summer to starting school this week- I'm pooped!! I need a few days to recover and hopefully get some creating done!! 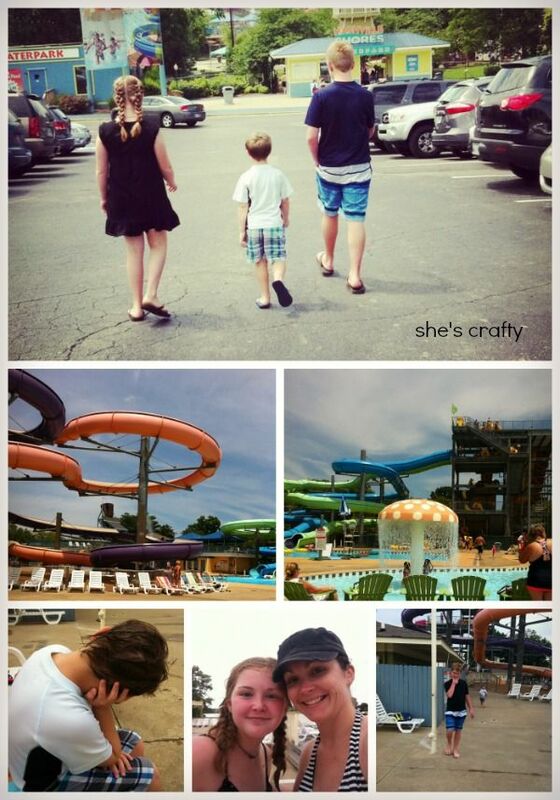 We spent a day at a local water park. The other school districts in our area had already started school so it wasn't very crowded. It was so much fun! My older kids and I have read the Percy Jackson books by Rick Riordan (that's an Amazon affiliate link) and loved them. 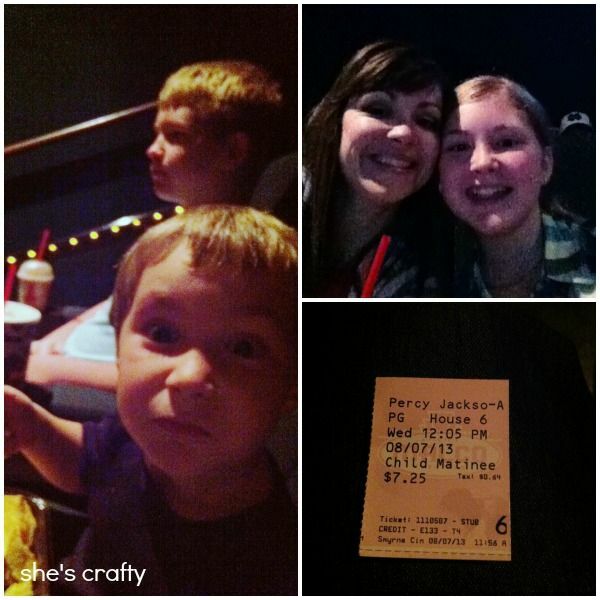 We were super excited when the 2nd movie, the Sea Of Monsters to came out and we saw it on opening day. 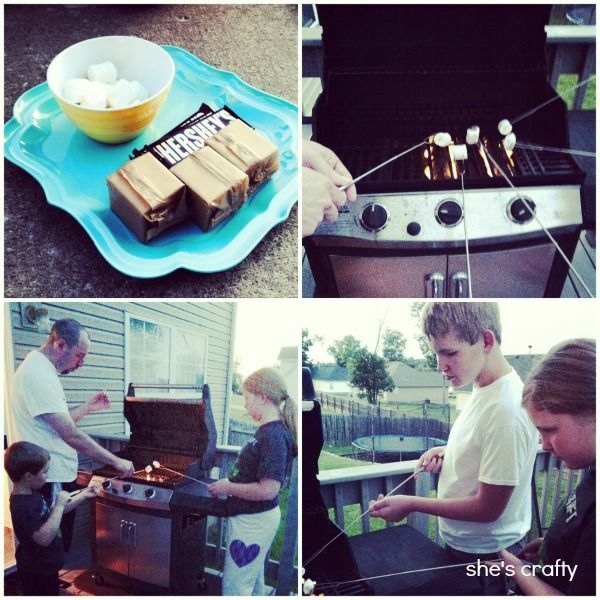 One of the things on our summer bucket list was to make s'mores. Since we don't have a fire pit we used our grill. It worked perfectly! We've had a really wet summer so that means our lawn has grown like crazy. So we've been spending quite a bit of time (ok let's be honest, it's mostly been me out there) outside taking care of our yard. 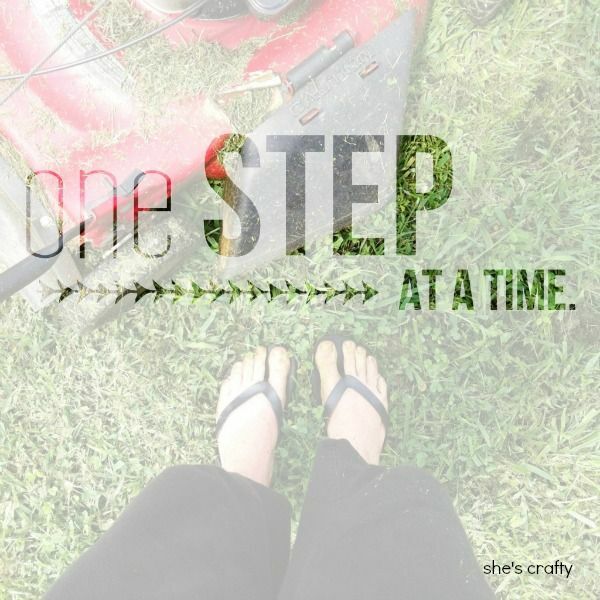 I really like yard work and find it very relaxing!! 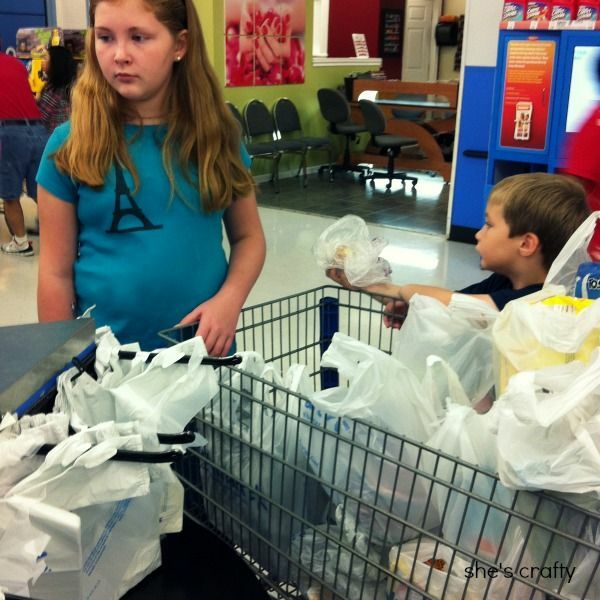 Trying to get all 3 kids equipped with all of their school supplies has required many, many, MANY trips to the store. No matter how much pre-planning and list making I do, there is always something that we miss and have to go back to get! 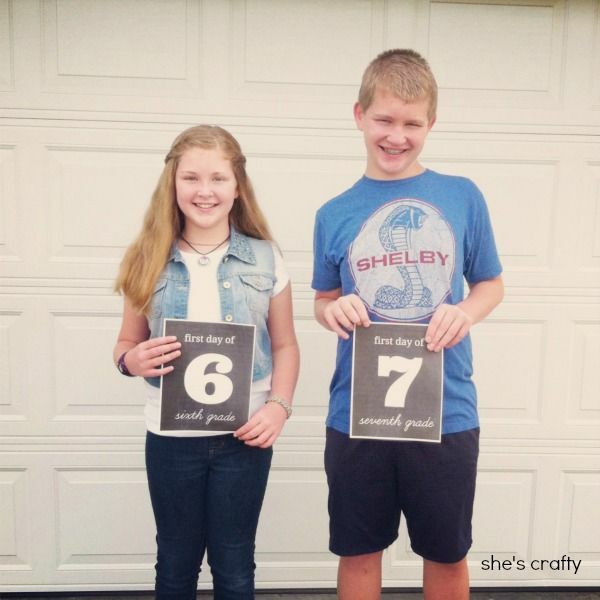 My big kids started their first day of middle school! There has been quite a bit of locker drama and adjustments getting to their classes but I think after this week they will have the hang of it! 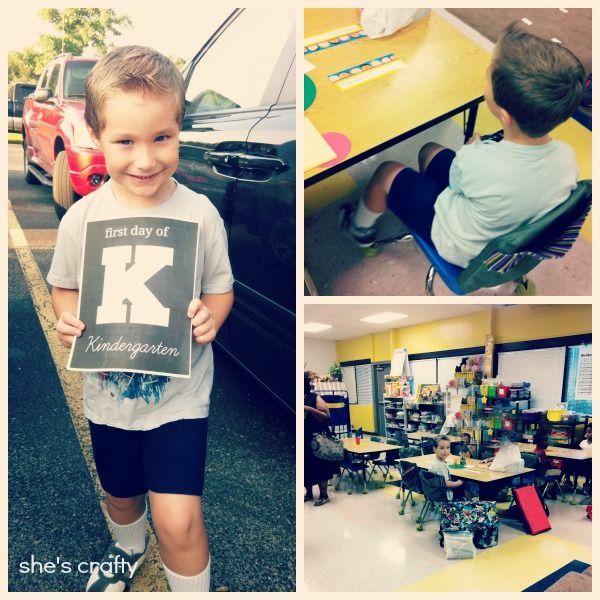 My little guy also started his first day of Kindergarten! What a big day for him!! We were both a little bit nervous but no tears were shed and he had a great day!! 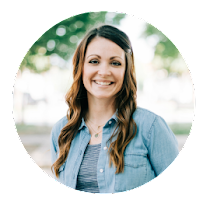 This month in Young Women's we are talking about marriage and families. 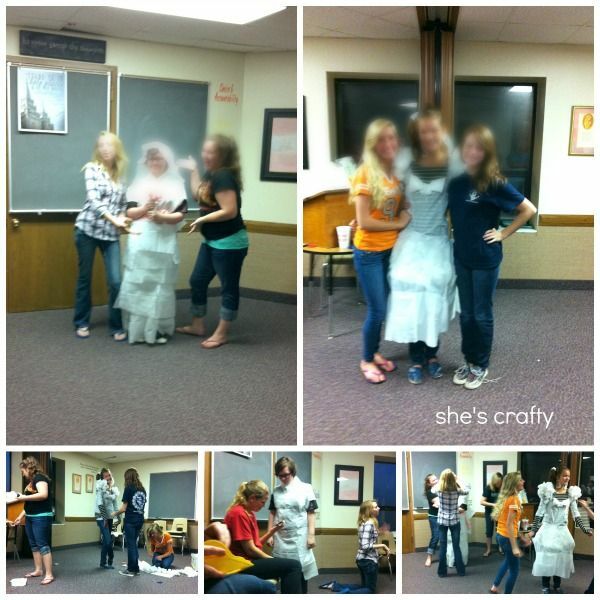 So for our activity this week, the girls designed wedding gowns out of napkins and tape. These girls were super creative and created some amazing gowns. It was so fun!!! So what have you guys been up to? Are your kids back in school?